Great news, the new monthly newsletter will be scheduled for the last Saturday of each month starting January 2018. This is what you should expect to get each month. 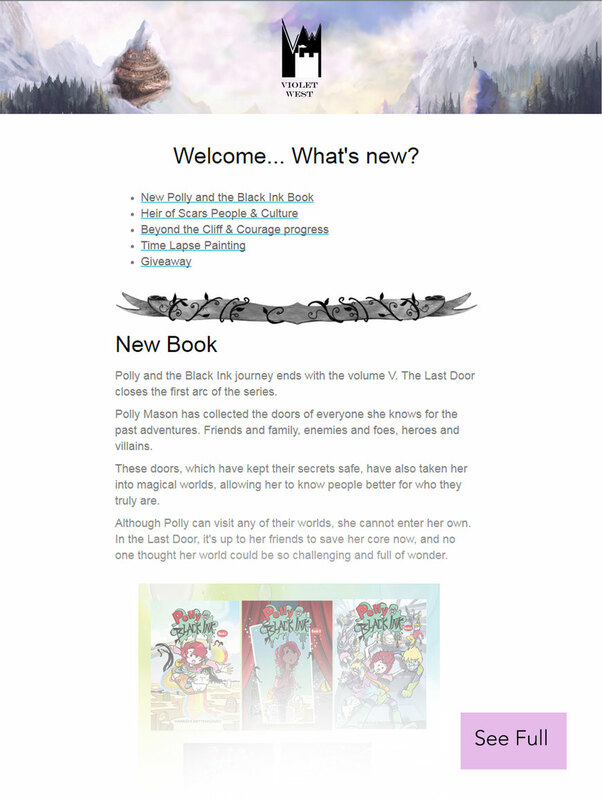 News on books, art process, releases, access to sales, contests and seasonal gifts. Sneak peek behind the scenes and art tips. Scheduled for the last Saturday of each month. Be sure you check your promotion or social folders (gmail) and/ or spam folder if you missed the last newsletter. Subscribe now so you won't miss any goodies.